1/12th scale, for your dollshouse. Another modern extra which 'makes ' a scene. 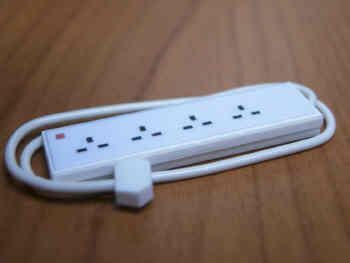 Here is our version of the 4 socket extension lead which seems to be everywhere ! We must all have at least one at home !